Thanks so much! LOVE the compliments!!! Red pepper will certainly add some spice and essentially promote healthy metabolism. 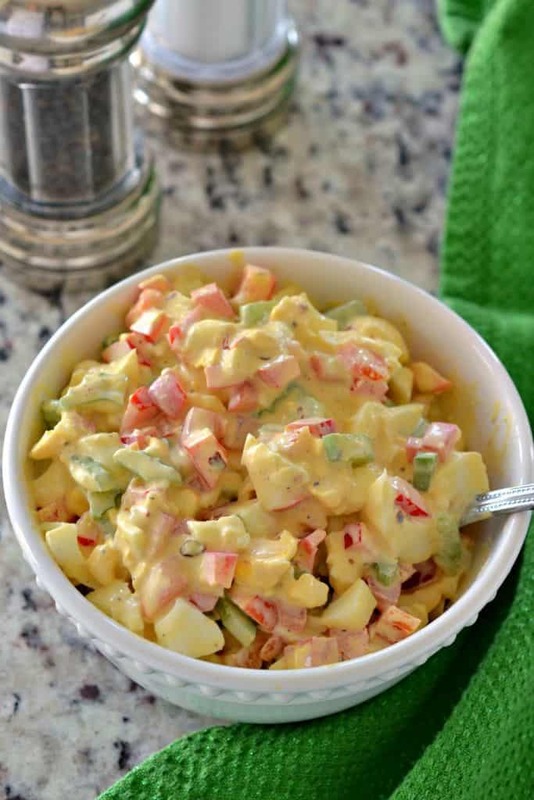 The recipe is more than simple egg salad. Thank you! Sounds great. Lots of protein for my son who.iistarting to battle his cancer. Yes indeed. I am sorry to hear about your son. What kind of cancer is he battling? What is his first name so that we may add him to our prayer list? This looks fabulous! 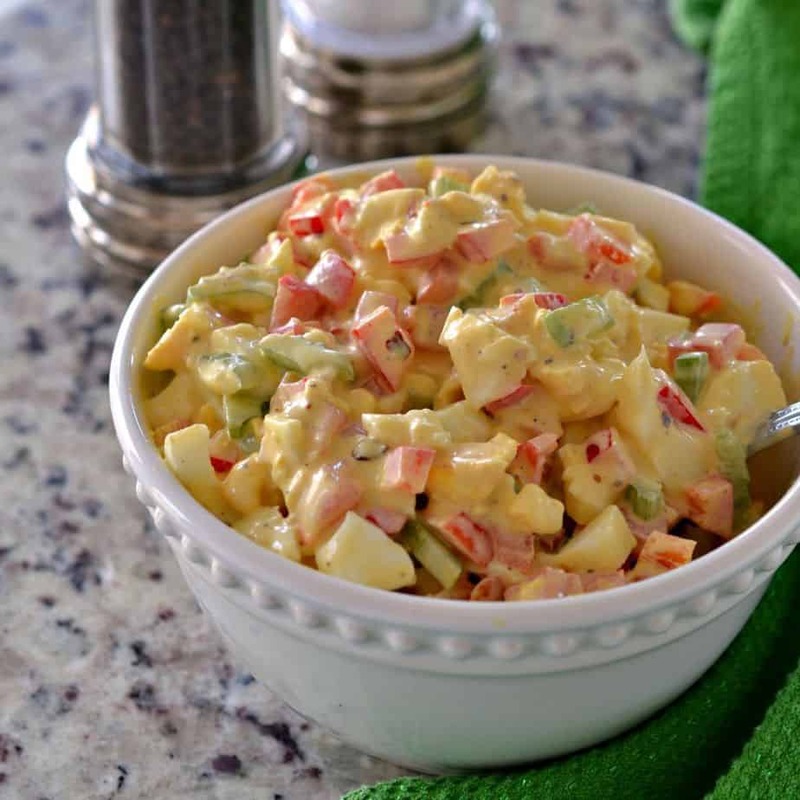 I love the twist on the classic egg salad and your suggestion of avocados is mouthwatering! 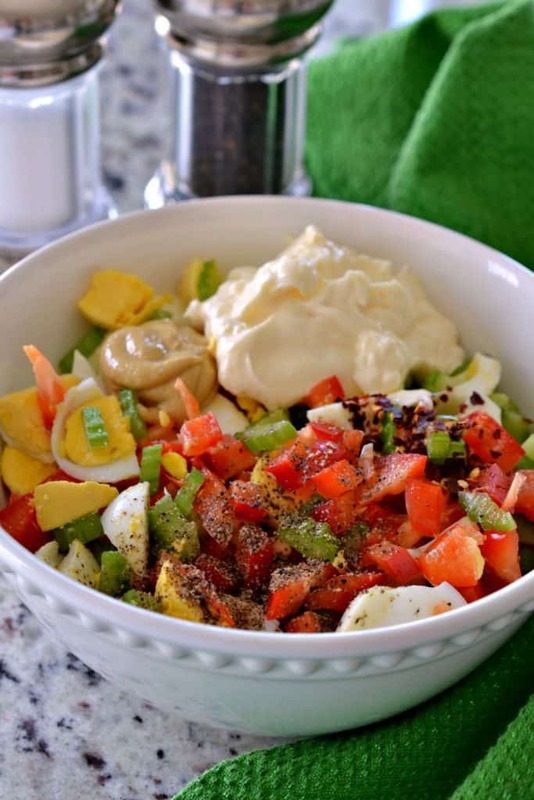 A perfect protein packed salad for egg lovers. I would love making it during the busy weeknights and your recipe is so easy. I can’t believe this egg salad comes together so quickly. Definitely a great find. I have recently found some of the most used recipes that I had not as good anymore so this is just perfect. And I would definitely stuff this salad in avocado – for the extra texture punch! This looks like the perfect light lunch or summertime dinner. I love that you made this salad into a wrap too, genius. 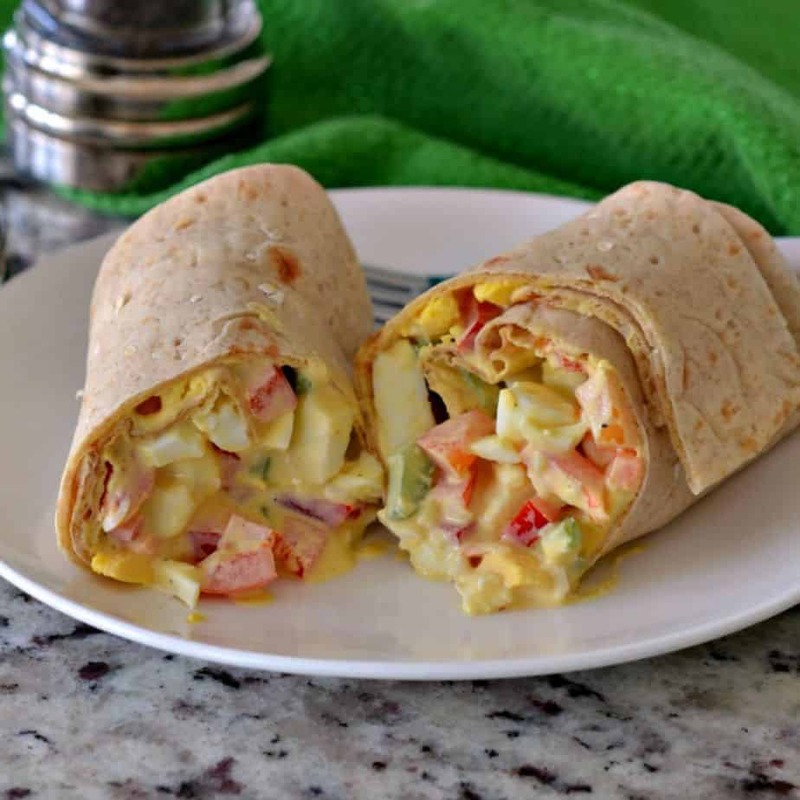 Egg salad is one of my favorite things to eat for lunch. I like that you added red peppers!